At studio Vandaan we find it very important to continue supporting you after birth. We offer different types of postnatal yoga: for every (new) mom there is a suitable yoga type. Here you can find our full Yoga Schedule to see where and when you can take classes. Any questions whether a class is suitable for you? Be sure to contact us! From 6 weeks after birth. We combine soft yogaposes, strethening exercises, breathing techniques, meditation and deep relaxation. We pay special attention to the spine, pelvic floor and pelvic area. Postnatal yoga means real me-time. From 6 weeks after birth. 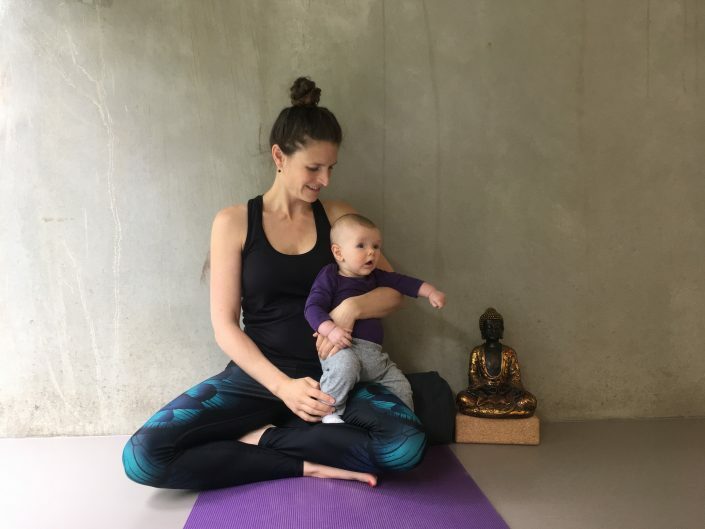 We combine playful exercises to bond with your little one, with soft yogaposes, strengthening exercises, breathing techniques, meditation and deep relaxation. We pay special attention to your spine, pelvic floor and pelvic area. From 6 months after birth and for ladies without any significant pelvic (floor) issues. This postnatal class is slightly more active and challenging that the regular ‘postnatal yoga class’. We combine strengthening the body (back, belly and legs) from the inside with deep relaxation. From 6 months after giving birth. Special classes for women of all stages in life and going through their unique life-cycles. The classes are directed to women who wish to do a general yoga practice in a women only class with a focus on health and wellbeing. From 9 months on, after birth, and for ladies without significant pelvic issues. A flowy yoga class for all women wishing to enjoy quality time by themselves and feeling their body again. We combine yoga poses, flowy sequences and relaxation exercises. Why is yoga so important after birth? 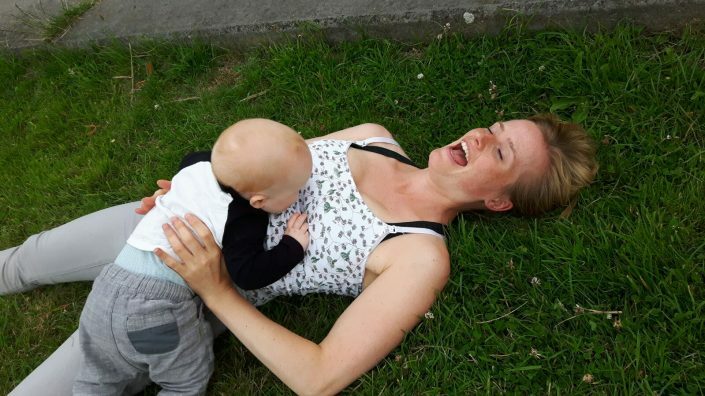 In the first post-natal class we focus on two important things: stabilising the pelvis and closing my body. During late pregnancy and giving birth the pelvis and the birthing channel open and your body creates space for your baby. 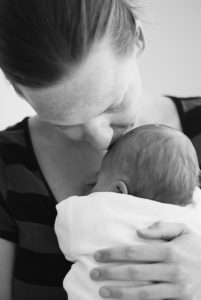 After your baby has been born you want your body to close, heal and gently recover. Forget about top-models being able to fit in a bikini in a week. You don’t want or need a killer body right now. Your baby prefers a soft body anyway. Focus on your long-term health and stability. I cannot stress this enough: be gentle, patient and take things slow! Your future body will thank you big time. Focus on the healing inside and the outside will follow. Most yoga studios don’t have mirrors because teachers want you to feel your body instead of looking at it and experience your practice rather from the inside than from the outside. In the first classes we take time to breathe, feel the pelvis and bring it back in a neutral stance and work on posture to align the spine. Slow steady breathing to close the ribs, belly and pelvic floor muscles. 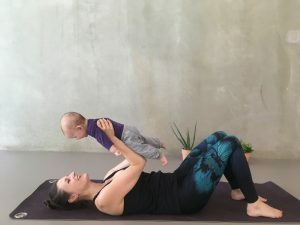 We focus on gentle non-visible exercises that feel very powerful and supporting after giving birth. Improves physical health, recovery, posture and mobility after birth. Supports and strengthens core and pelvic floor muscles in a safe way. Boosts physical and mental inner power, trust and intuition as a (new) mother. Relaxes the body and mind, and helps to take good care of yourself. Allows you to meet other (new) moms!